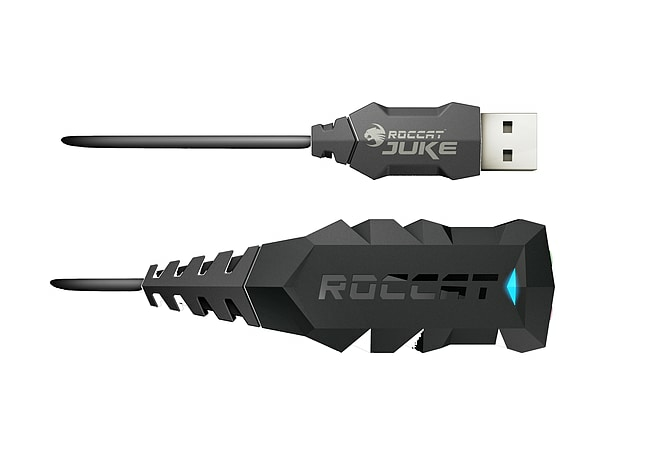 Juke is the virtual 7.1 USB stereo sound card and headset adapter from ROCCAT that brings your stereo headset to the next level. Taking the form of compact USB sound card, the Juke delivers premium quality virtual 7.1 surround sound for home and LAN use. All you need is the Juke itself and your favourite stereo headset - the Juke is compatible with just about all of them. Delivering premium quality virtual 7.1 surround sound, the Juke ensures you don’t have to settle for stereo audio. The Juke is compatible with a wide range of stereo gaming headsets that are on the market. Just plug and play. Big in terms of features, low in terms of memory footprint. Align each virtual speaker individually and much more. The Roccat Juke allows you to transform the audio from your PC to your headphones in fantastic 7.1 sound, allowing you to immerse yourself fully into the virtual surround sound experience. The built-in cable features a robust and solid compact design, allowing you to take it anywhere and not have to worry about it getting damaged. The flexible USB cable enables accessibility and comfort, with colour coded 3.5 mm jacks which makes for simple installation. 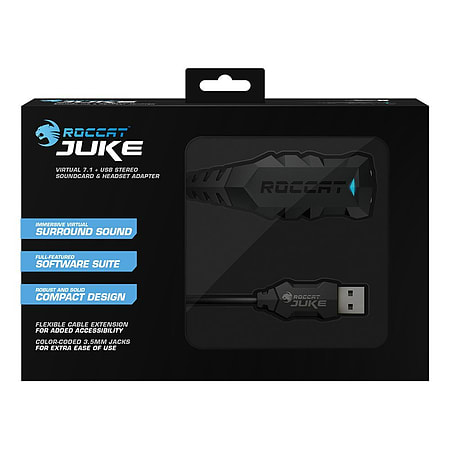 The Roccat Juke includes a full featured software suite.